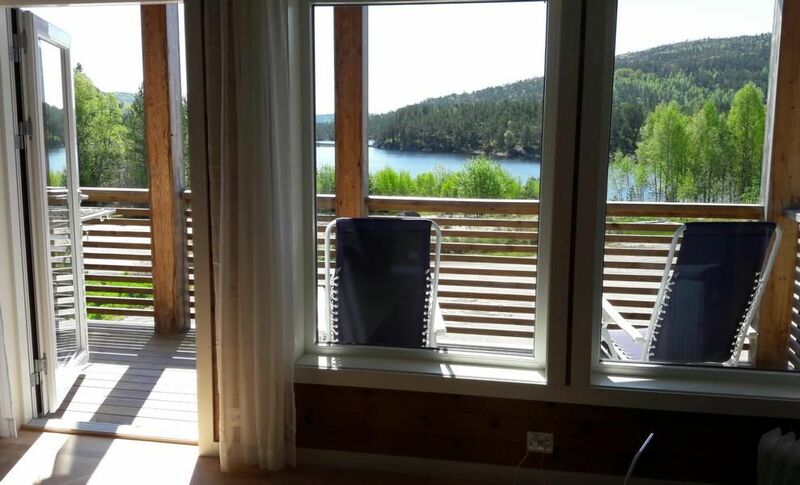 Only about 100m from the picturesque Bjørndals lake lies this wonderful holiday spot only about 1 hour from the coastal town of Kristiansand. Whether hiking, rafting, climbing or moose safari: who wants to spend their holidays actively, is here in Setesdal just right. For small boat trips and excursions, a round boat (included) is available. Enjoy exciting excursions from the balcony to the water after exciting excursions or let the soul dangle on the small sandy beach by the lake. The apartment is modern and fully furnished. Electricity, fl. u. k. Water, bath with shower and WC, complete kitchen with induction cooker, dishwasher, microwave, fridge-freezer, washing machine, electric heating, balcony with outside furniture. These are just a few excursion possibilities that are easy to reach.